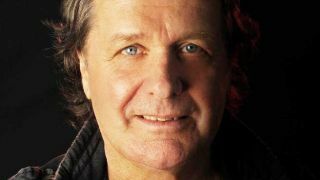 Asia frontman John Wetton has confirmed a surprise guest appearance with Gordon Giltrap and Oliver Wakeman when they play Mr Kyps in Poole tomorrow night (Saturday, April 26). Wetton will deliver a full-band performance, although he’s keeping the specifics close to his chest until showtime. Giltrap and Wakeman commence the final leg of their UK tour in support of acclaimed album Ravens And Lullabies tonight in Bishops Cleeve, winding up in Swindon on Sunday – and those shows are likely to be the last chance to see their full-electric band in the UK for some time. Asia released latest album Gravitas last month. They’ll play the Malvern Theatre, Worcestershire on June 11 and the Picturedrome, Holmfirth on June 12.